When I find out she’s never taken a trip to O-town, we make a little wager. Not only will I win the client, but I’ll prove to her that multiple’s are NOT a myth. We work together all day and fight between the sheets all night. But somewhere along the way, I discover that winning isn’t enough. 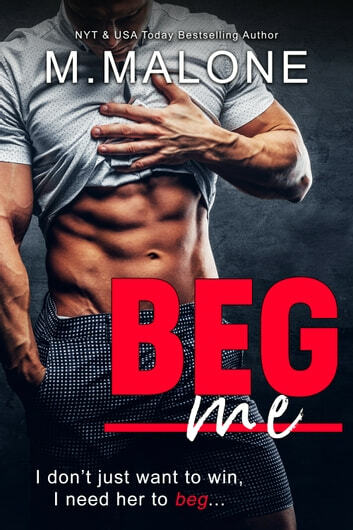 I want her to… beg me. “Absolutely LOVED the book! It was so much fun to read.” - Michelle C., a long-time fan of Minx’s. This is an awesome book. Two co-workers who are competing for the same account find out that the client wants someone who knows about love, romance, and marriage. Something neither of them knows about. They are enemies in the office and in the end fall in love and one of them wins the client while the other does not, but they both still win. This book had it all and kept you interested in what was going to happen from one page to the next. You will enjoy this one.